If you feel conscious when you smile because of discoloured teeth, we have the solution to lighten and brighten your smile. 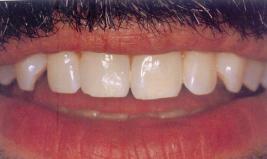 You can use tooth-whitening treatments that would lighten your discoloured teeth and the results are almost immediate. There are two ways to tooth whitening. You can get customised bleaching trays made by your dentist and then use bleaching gels in the comfort of your home till you are satisfied with the lighter tooth colour. This is the home bleach procedure. 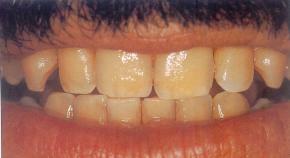 We also do office bleaching that requires you to visit us for your whitening sessions. These may be one or two sessions,according to the level of whiteness you desire. This, and a lot more, can give you that perfect smile you always dreamt of.